sometimes i have this picture in my mind of what a good mom does. remember how i almost never remember things like spirit week? well this week, on monday, i forgot again. we pulled up to side ponytails and lots of neon and it was only then that it dawned on me. 80’s day. hey K, i forgot about 80’s dress up day. but you have on neon shoes so that should work. ok? luckily, she had absolutely no idea what 80’s day even meant so forgetting it didn’t bother her in the slightest. but i was determined to remember that today was storybook character day. 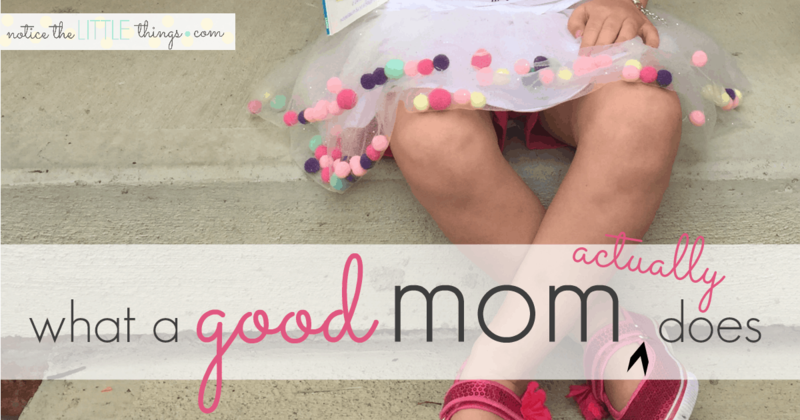 good moms remember storybook character day. last night, we planned out K’s outfit. fancy nancy is a favorite book of hers and i figured it was a costume we could pull off. tutu. bracelets and necklaces. tiara. some kind of sparkly shirt. we even braided her hair with plans to undo it in the morning for fancy nancy’s frizz. this morning was like all mornings. we got down to breakfast late and had to make up the time. me by repeating myself 237 times and them by rushing up and down the stairs to get dressed and brush teeth and get socks that we decided we wouldn’t wear. then sending E up to change again because he looked like he was going to mismatched day except his school isn’t having spirit week this week. 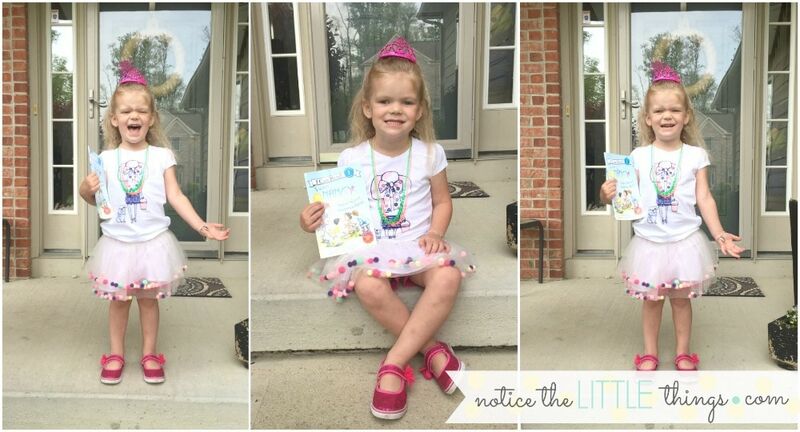 K was decked out in fancy nancy, even carrying a fancy nancy book. i got E on the bus. then we took pictures of K on the porch where she did what she thinks is a smile but it isn’t really and i snapped away because well, this is the smiling stage we’re in right now. not two minutes after we got inside, me feeling like i fulfilled all my good mom duties so far, K announced she did not want to be fancy nancy anymore. she wanted to be eloise. i’m sorry, what? i actually remembered it was storybook day and planned out your outfit and now at the last minute you want to change it? in fact, she didn’t want to change it. she wanted to stay in exactly what she was wearing, minus the bracelets because they were making her walk around with her arms held up, despite my telling her they would not fall off if she put her arms down. so in my mind i am thinking, you want to be dressed like fancy nancy but you want me to call you eloise? and you’ll tell everyone at school you’re eloise even though i am pretty sure you aren’t dressed like her? 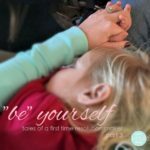 and then i was thinking, in that way i sometimes do when i think things need to be perfect, that probably good moms remember storybook character day AND have kids in costumes that actually look like the storybook character they are calling themselves. so i thought about fighting this new eloise idea. i tried a little. i told her she could be eloise another day. mind you, we don’t even own an eloise book. she only knows the name because about three months ago she watched eight minutes of an eloise movie i had hoped would occupy her for an hour. i reminded her eloise doesn’t wear a tiara. eloise wears knee socks. we don’t have knee socks. to no avail. she felt like eloise. 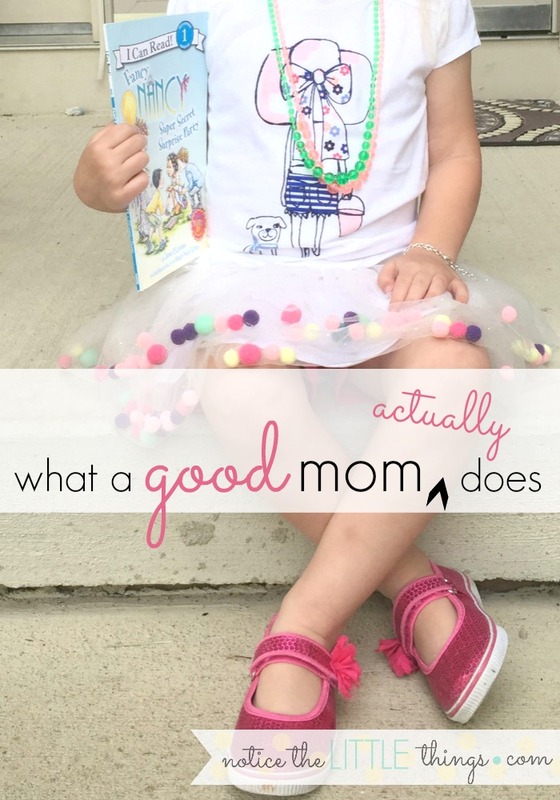 i could tell by her twirling and spinning and proclaiming she was eloise. she was very pleased with her decision. so i swallowed all the reasons why this made no sense at all and said cheerfully, ok eloise. pack your backpack. let’s go. we pulled up to school and as we waited we tried to guess each teacher’s storybook character. when the teacher opened the door for K, she gushed, oh K you look so cute. i love your hair and your tutu. are you fancy nancy? to which K promptly replied, yep! sometimes i have this picture in my mind of what a good mom does. and i need days like this to remind me that i’m pretty sure what a good mom actually does is ignore the picture in her mind of what she thinks a good mom does. interested in reading more at notice the LITTLE things? 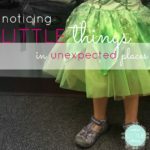 join in noticing 10 LITTLE things in every kind of day and come along on my diy, parenting, and organizing adventures. 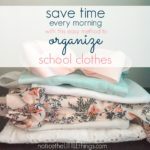 click here to subscribe and receive access to my favorite FREE printables.